EN (circle/fate) is about the circular nature of lives, relationships and history. 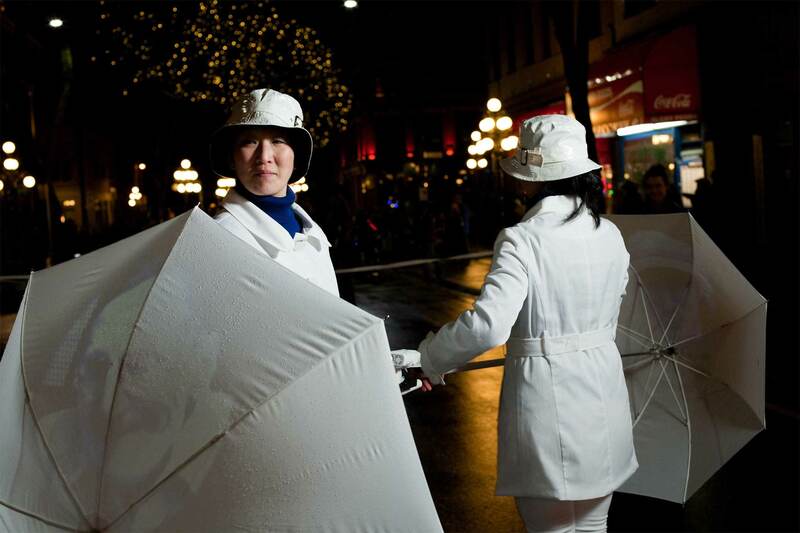 Two dancers with white umbrellas. A single taiko drummer beats multiple rhythms. Repeating images of the faces of Vancouver's oldest neighbourhood. The meeting and re-meeting of lives. 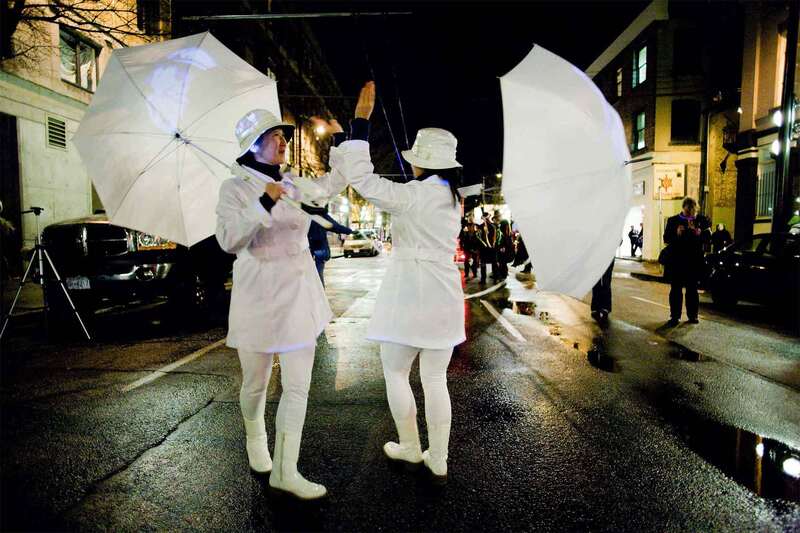 EN (circle/fate) is a short dance created for the Procession of Performing Circles in which six Vancouver groups come together to light up a few blocks of the Downtown Eastside with music and performance. EN combines Japanese classical dance influenced movement, taiko percussion (played on large plastic tubs!) and projected photographs of local faces. The piece has been inspired by Japanese festival dances, Bon Odori, which are typically done in summer to welcome home the souls of the past. EN is a celebration of how people are linked to each other over time and space, and how the souls of all generations have danced in the rain of Vancouver. Special Thanks to The Vancouver Japanese United Church!